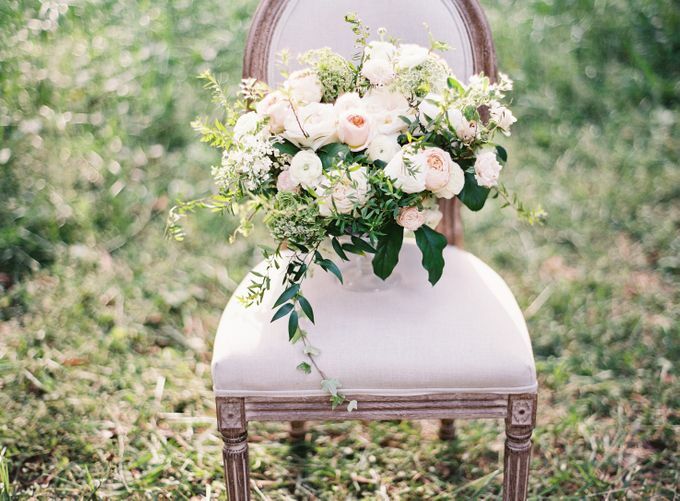 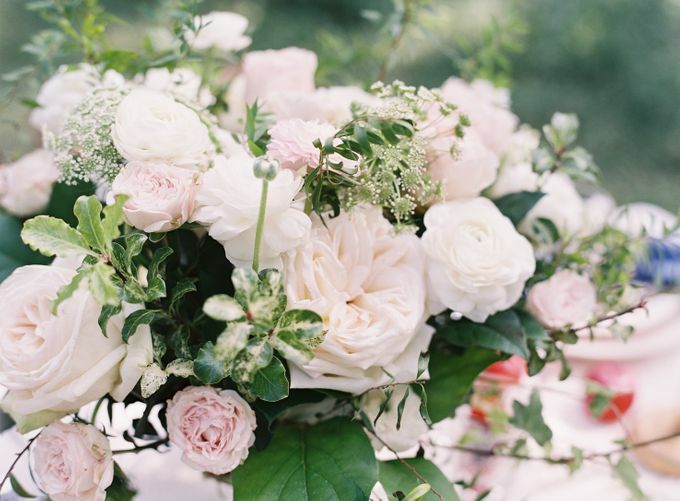 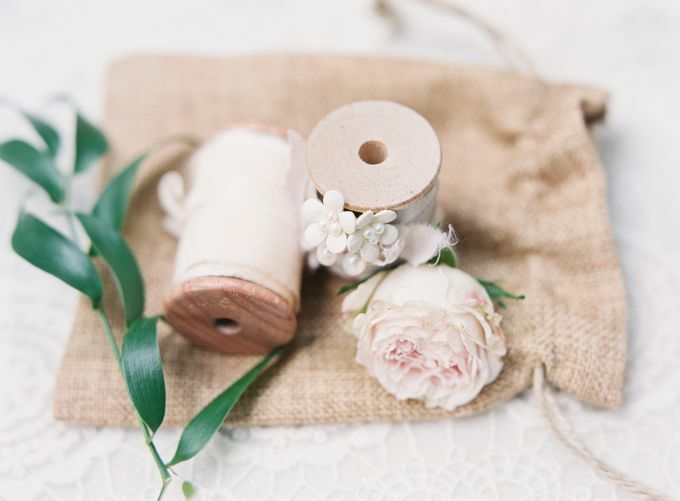 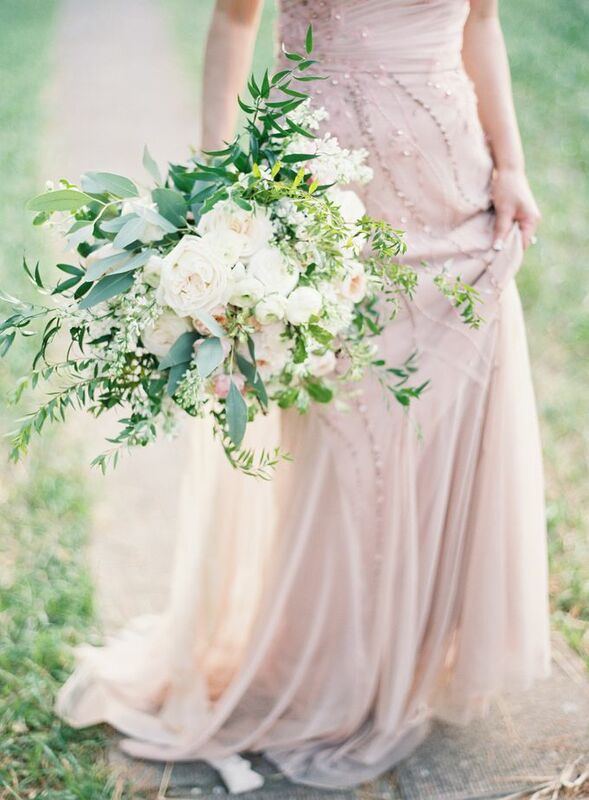 It’s a soft romance garden styled shoot in cream and peach hue with vintage touch. 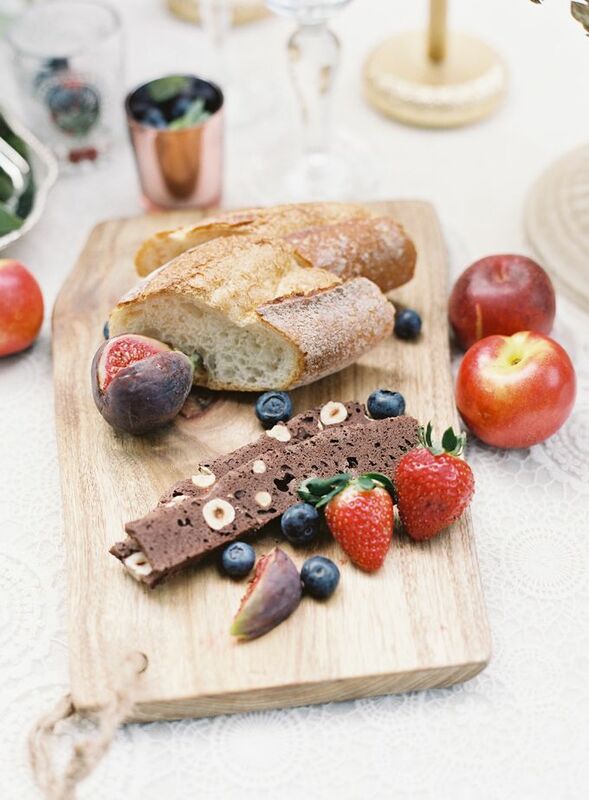 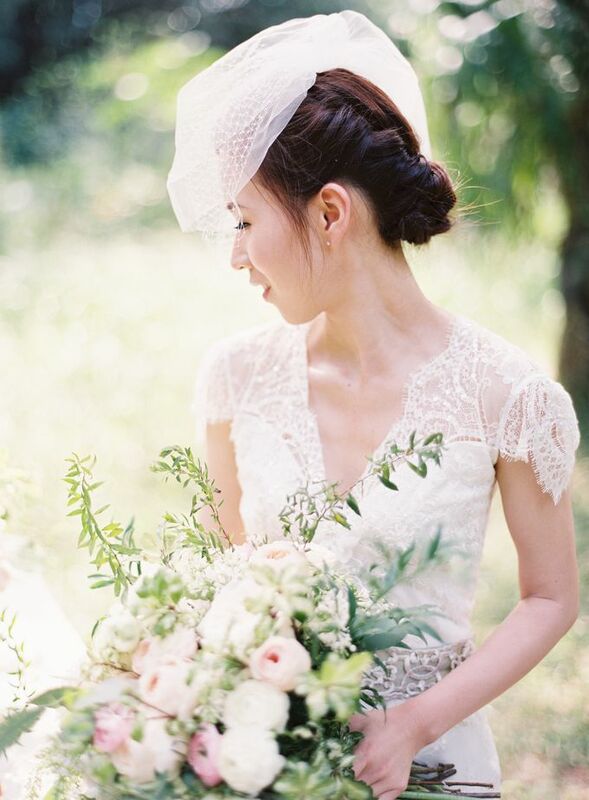 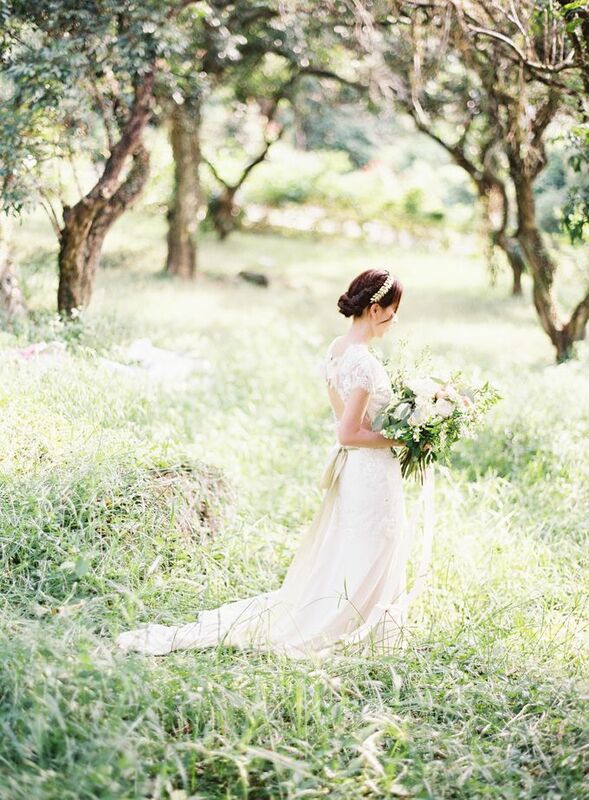 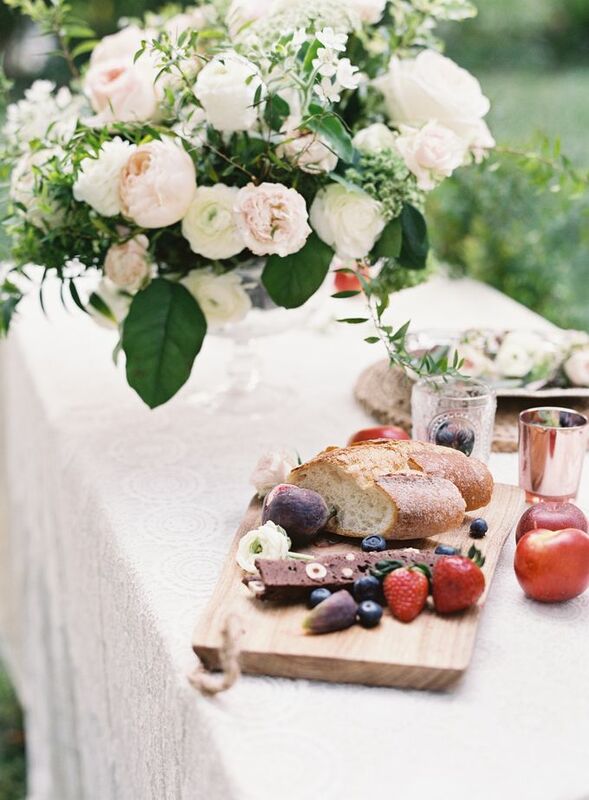 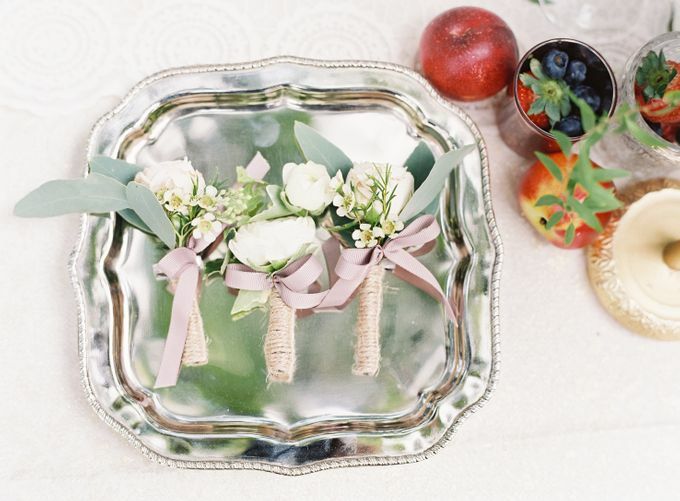 The styled shoot embraces nature and the lush greenery which created the serenity. 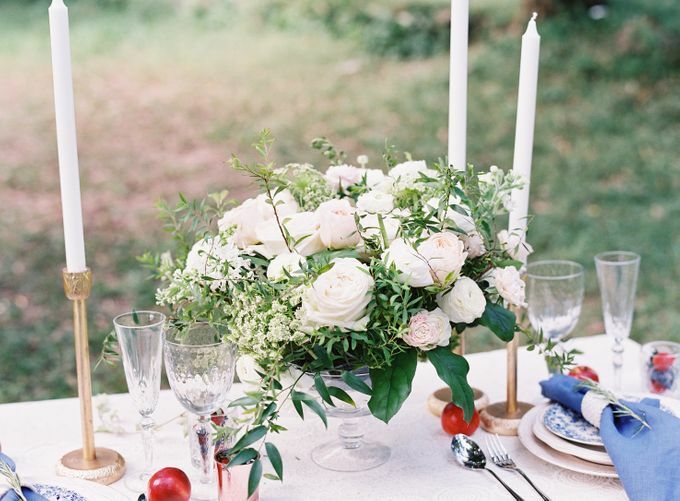 The table setting is simple yet the China royal blue floral pattern plate just give right amount of antique vibe. 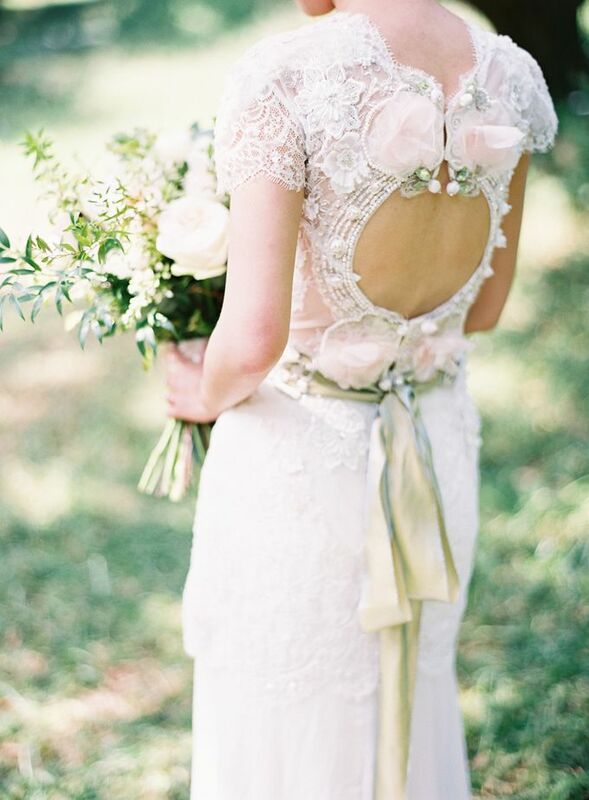 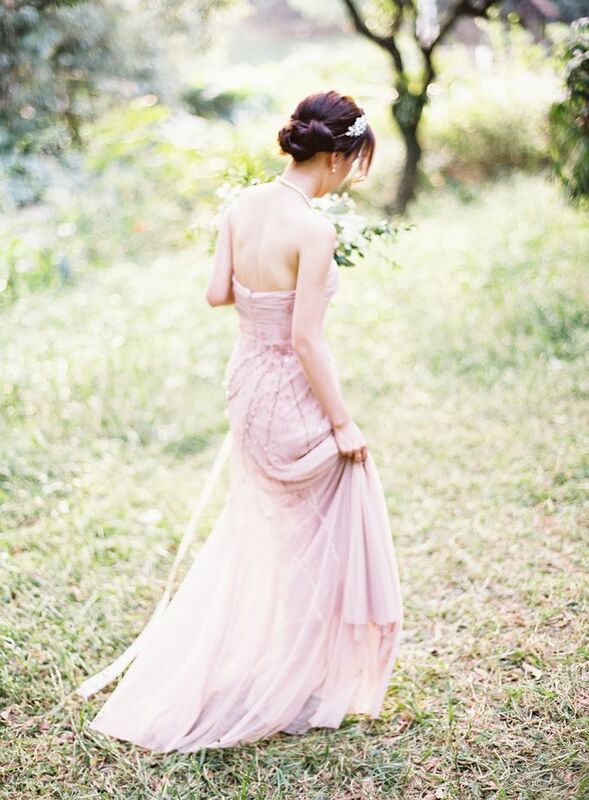 The Claire Pettibone vintage dress, especially the blush flowers at the back is just oh-so-flattering! 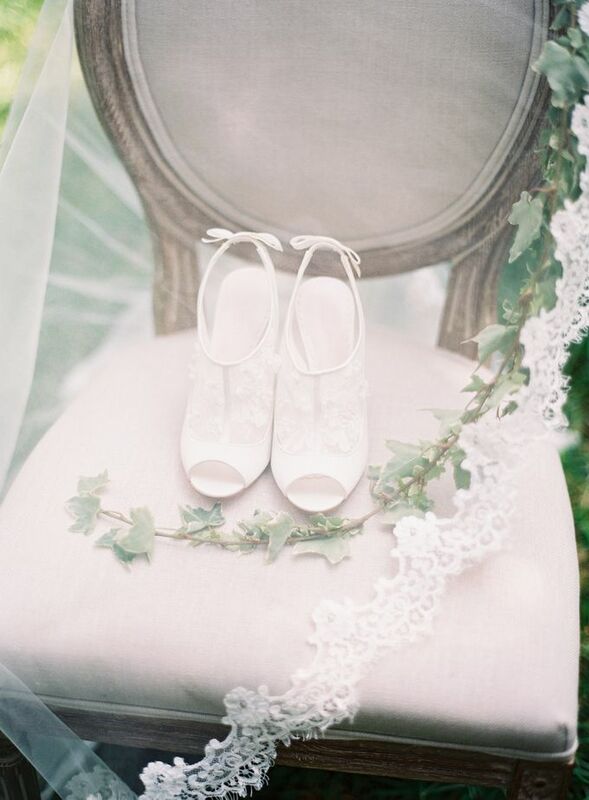 The vintage green cake, Melissa Sweet floral shoes, the twigs and honey face veil and the stunning bouquet and the classic braid are beautifully co-ordinated. 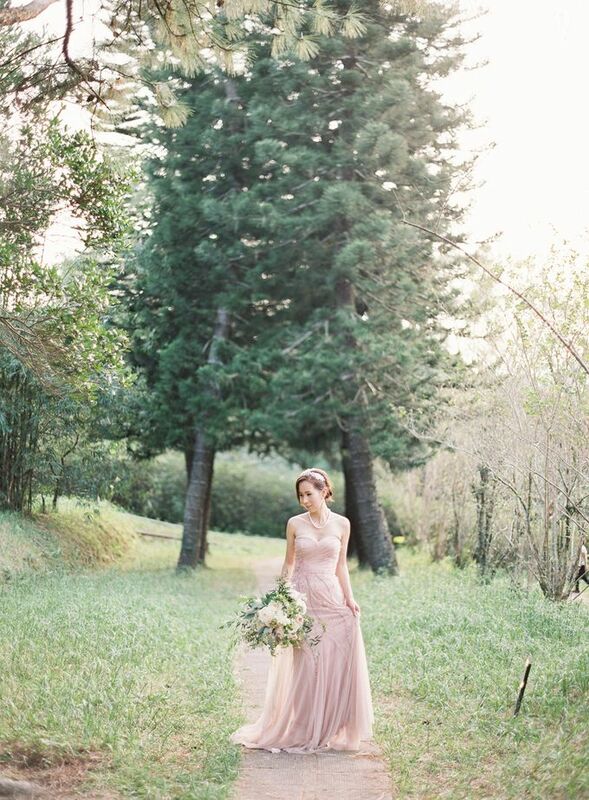 In the evening, the dusty pink with beading and fabric floral dress added glam for the whole ethereal styling.